I will update this post with high-quality download links or sources here if you guys can post them in the thread. This guy uploads song vocals, background vocals, instrumentals, and background music from the show in high quality. Has download links with multiple audio formats in the video descriptions. Downloads for the voices for every episode. This website only offers the middle audio channel from the episodes, so it does not include backing vocals and the chorus for certain songs. Sheet music, chords, and guitar tabs for the songs. Please post links here to high quality downloads for all the vocals of the songs from the show - not the Equestria Girls movies. 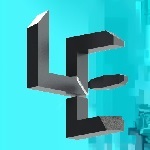 Some of the acappellas can be found on youtube, but they're usually with no download links and at lower quality. We should put download links here all in one place where they can easily be collected and downloaded for people who wanna make remixes. Last edited by ChocolateChicken on 10 Jul 2015 01:43, edited 10 times in total. 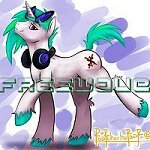 Re: MLP: Friendship is Magic song vocals? If you have the 5.1 iTunes downloads, you can strip out the centre channel using freely available software like mp4boxgui and eac3to. The centre channel is usually pretty free of background sounds, especially on the older eps. Jupiter Pony wrote: If you have the 5.1 iTunes downloads, you can strip out the centre channel using freely available software like mp4boxgui and eac3to. The centre channel is usually pretty free of background sounds, especially on the older eps. Some songs like Hearts as Strong as Horses were harder to get the different parts for due to the panning and channeling so you can still find those isolated best thru the ppl who do the separating thru their own youtube channels. mlptf2mods is not the best source for song vocals because it doesn't include background vocals and, for example, doesn't include the chorus to "Winter Wrap Up." Are there any more resources we can link to on here in addition to mlptf2mods? It's better to collect 'em all here so people can find them more easily. And perhaps download links for just the song vocals, excluding the rest of the episode's dialogue? It would be easier than having to download the entire episode's dialogue when all somebody would want is just the song vocals. Kind of like the Equestria Girls thread where download links for vocals/background vocals are provided. Last edited by ChocolateChicken on 26 Apr 2015 19:47, edited 2 times in total. Feel free to fill this thread with any requests as they come in. Friendly reminder that this thread could use more sources if anyone has them. I'll keep the first post updated if any more high-quality download links or sources get posted here by any of you guys. I haven't put mlptf2mods up there yet because it doesn't have complete song vocals for a lot of songs. He has high quality downloads for almost all of the show's song vocals and even instrumentals if you want. Get 'em while you can! I've updated the original post with his youtube channel as well as mlptf2mods. Anyone have any other sources? Has midis and things, not quite up to date, not sure if abandoned as the last post was in august of 2014. 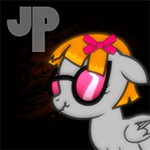 Added www.everyponysings.com/p/music.html to the post! This thread is mostly for vocals for remixing, but it would definitely help remixers out there to know the chords and whatever stuff they might not be able to figure out on their own. If anyone has other sources for remixing, post 'em here! Looks like http://www.mlptf2mods.com/tutorials/resource-materials went kaput. Anyone have any backups of the files that were there, or are there any alternatives? https://mlptf2mods.com/tutorials/resource-materials/ is still up but the link only works without the "www". Does anyone know if and where one could acquire acapellas for the official versions of show songs. I've been wanting a good version from the official extended "Make a Wish"
Is there one for The Smile Song by The Living Tombstone, like High Quality? If you would kindly like to make one, I will link you to the song RIPPED from his project. By the way, Here's a Acapella on Stop the Bats Remix by the Living Tombstone. Its not the best, but I tried.